All these guilds are famous and well known throughout Tamriel. Guild membership opens a lot of new opportunities for a player. Being a member of a particular guild opens up special quest lines and lore as well as giving you access to traders and unique skills lines. How to choose the best guild? The question of choosing a guild is not an issue because there are no limitations in the game. You can become a member of as many of the featured guilds as you wish. Of course, it is best to choose a primary guild according to your character’s class and gaming style. If you prefer melee combat the best choice will be the Fighters Guild. If instead, you like to play as a stealthy character the Dark Brotherhood would provide you with the best skills. And obviously, Mages Guild will be a great choice for spell casters. But don't feel restricted by your class or play style. The process of joining a featured guild isn't just a matter of signing up. You will have to complete several tasks before you are deemed worthy of joining. For instance, if you want to become a member of The Fighters Guild you will have to destroy several Dark Anchors found around Tamriel. The anchors are well protected and you will have to prove your strength by killing the guards and destroying the anchor. The Mages Guild requires the collection of special books across the whole continent. Only after the tasks have been completed can you become a full member of the guild. Being a guild member is not only a matter of honour. Each member must do everything he can to glorify his guild. After joining a guild you will have to complete different tasks to become an advanced member. The tasks are progressive and become more difficult, and more interesting as you progress. When you enter a particular guild a new tree of abilities becomes available. For example, when you become a member of the Mages Guild you receive a new tree of abilities and perks related to magical art. So a guild in ESO is not just a union of warriors / mages / thieves / assassins where you can get new quests and rewards. It is also a cool faction where you can obtain new abilities and skills. 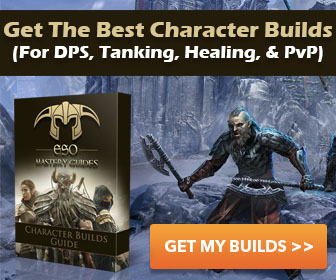 Joining a guild is a great way to diversify and increase the power of your character. Do not fight alone. Join one of the 4 primary guilds of Elder Scrolls Online!